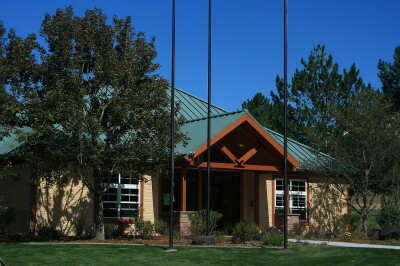 The Battlement Mesa Service Association, (BMSA), is Battlement Mesa, Colorado's "city government." 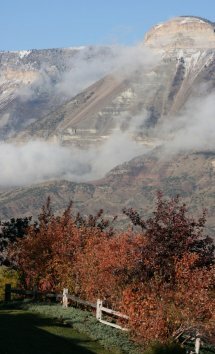 The Battlement Mesa community, an unincorporated 3,200 acre planned unit development, (PUD), is located along I-70 and the Colorado River between Glenwood Springs and Grand Junction on Colorado's Westernslope. As the name suggests, the BMSA, a Colorado non-profit corporation, is a self-governing homeowners association. All property owners within the PUD are automatically members of the BMSA and must pay HOA assessments. The BMSA is the community's governing body. 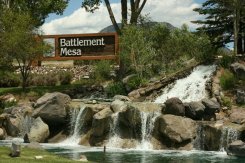 As an HOA, the Battlement Mesa community is regulated by various legal documents. These documents, including the association's Articles of Incorporation, Bylaws and the Amended and Restated Covenants, can be found in the BMSA section of this site under "Association Documents." Instead of a normal mayor and city council, the BMSA's Board of Directors manages and directs the governmental affairs of the Battlement Mesa community. Presently the BMSA board consists of twelve Village Delegates/Board Members and two Developer Delegates/Board Members for a total of fourteen Delegate/Board Member positions. Each Villlage within the Battlement Mesa PUD has the right to elect a Delegate to the Battlement Mesa Service Association and these elected Delegates are automatically elected to the BMSA board of directors. Village Delegates/Board Members are elected by their Villages to a three year term. Since there are no term limits, Delegates/Board Members frequently serve more than one term. The BMSA board of directors functions like a typical city council. More information about the BMSA board or directors is shown in the BMSA section under "Board of Directors,"
The BMSA board of directors meets at the Grand Valley Recreation Center on the third Tuesday of each month. The meetings, which are open to the public, begin at 9 A.M.